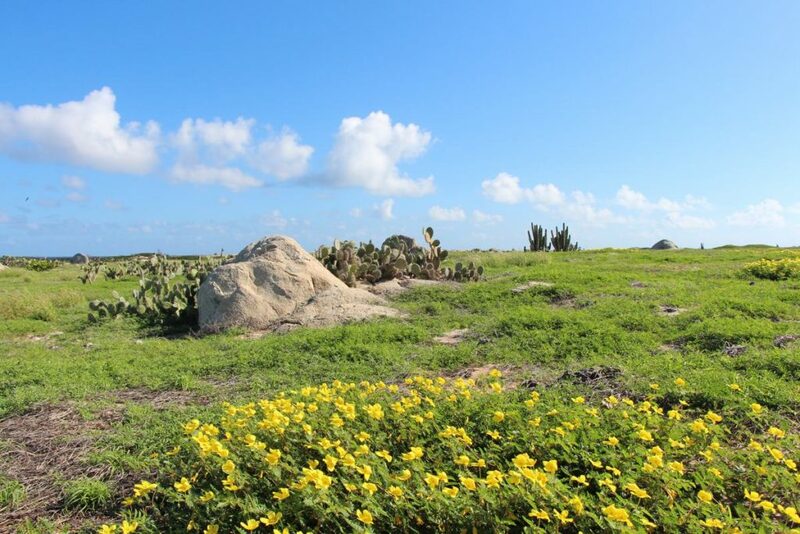 Amidst the hustle and bustle of Palm Beach, Aruba you will find an unexpected street side nook giving you real traditional Cuban vibes you never thought you’d stumble across in Aruba! 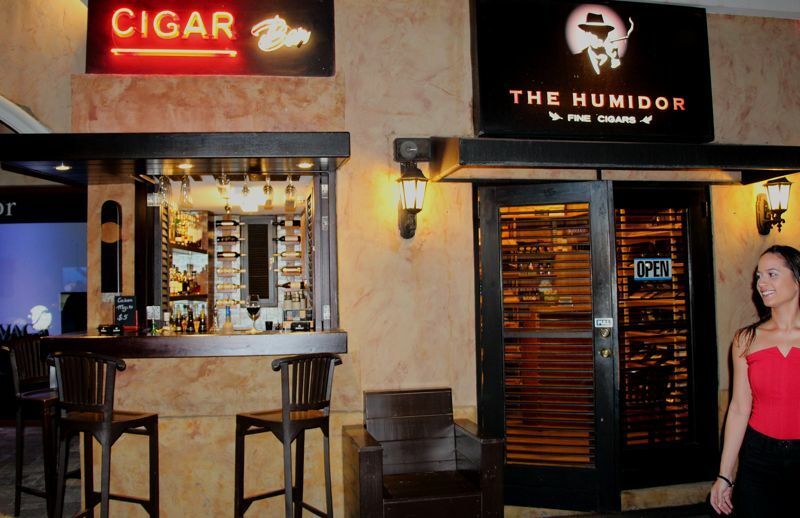 The Humidor Aruba is a unique and cozy spot offering a cigar store, outdoor seating area and small bar all in one. For a fun and different night out I, along with my colleague and our SO’s decided to check out the place for ourselves. As soon as we arrived Celia Cruz’s warm, vibrant voice welcomed us and the smell of pleasant Cuban cigar scents filled the air. 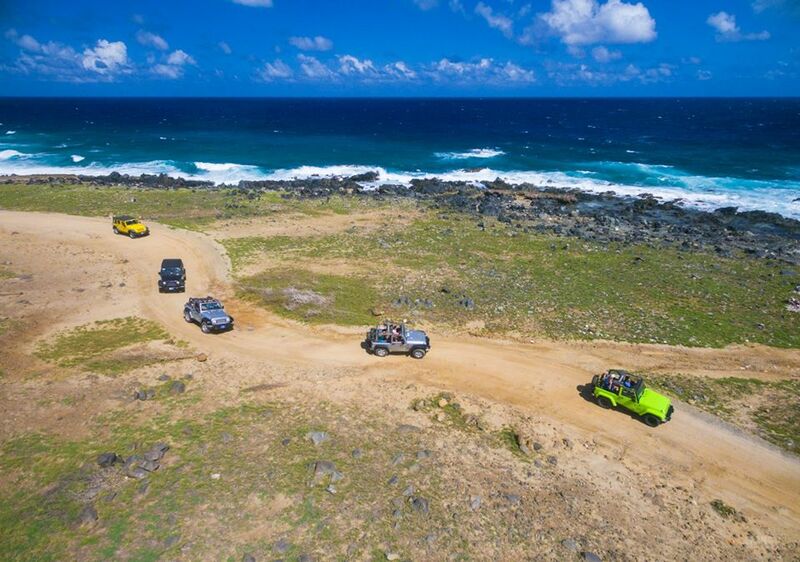 It was evident, we were no longer in Aruba – welcome to Havana! 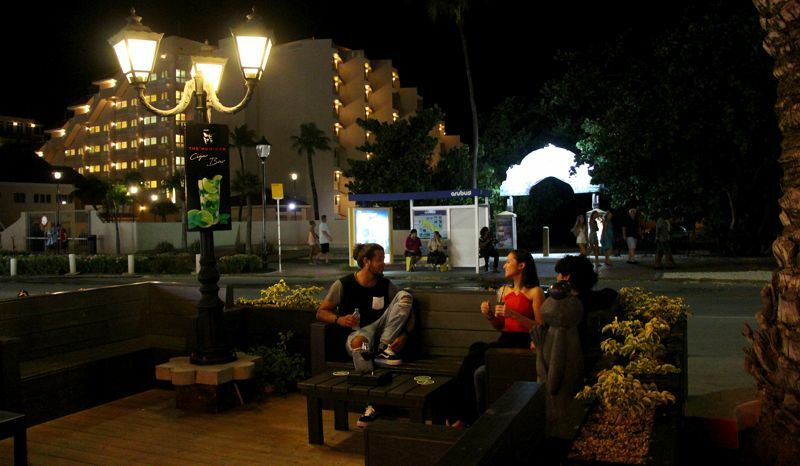 Relaxing and enjoying their outdoor terrace seating. As we took a seat on their outside terrace staff member Viviana greeted us with a big, warm smile and took our drink orders. 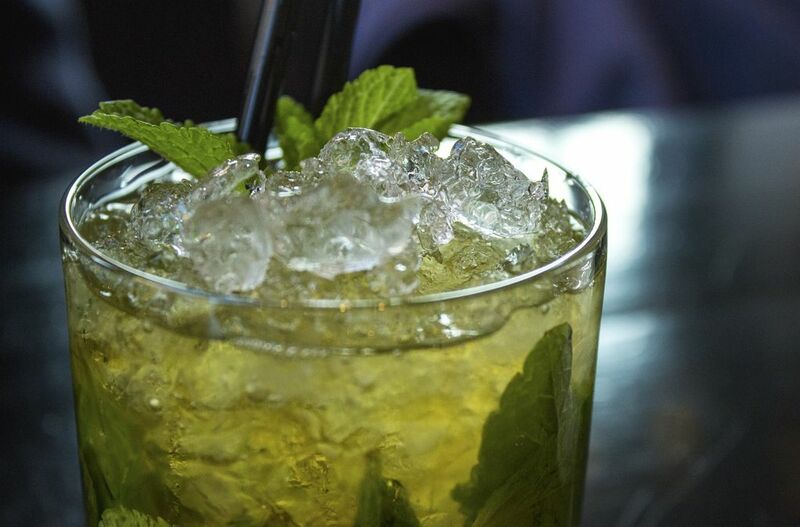 Known for their fresh mint mojitos, we couldn’t help but order one. We knew we made the right choice as she surprised us by picking the fresh mint right then and there in front of us from their terrace garden! Mixed and muddled with love, our mojitos were pure perfection. 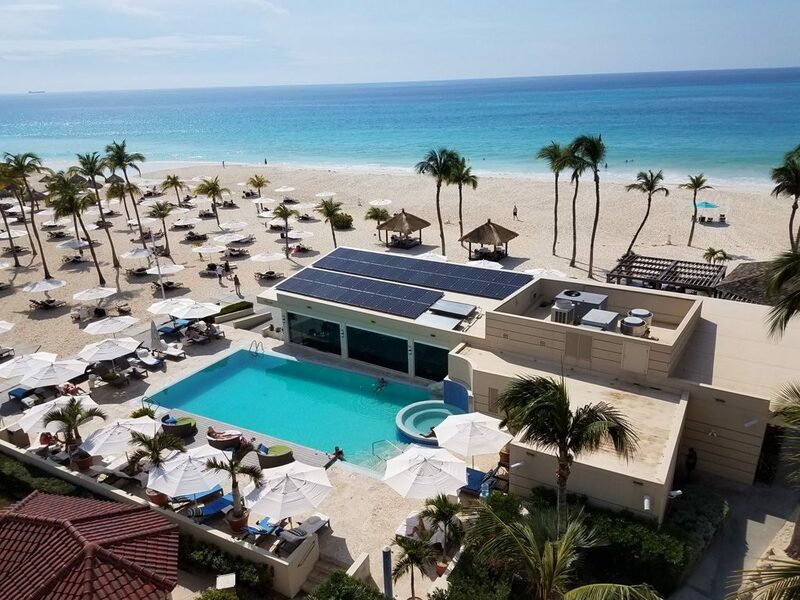 If you’re not a mojito lover no worries, there is a full bar with plenty of options. Our next drink up was their house special, Coconut Caney Centuria. Made of Ron Caney Centuria Rum poured over ice and topped with coconut shavings (and perhaps a mystery ingredient that I’m missing), this cocktail was simple, yet delightful. The rum was on the lighter side and quite pleasant on the nose. With a touch of sweetness and fruitiness, it also entailed notes of smoke and spice. 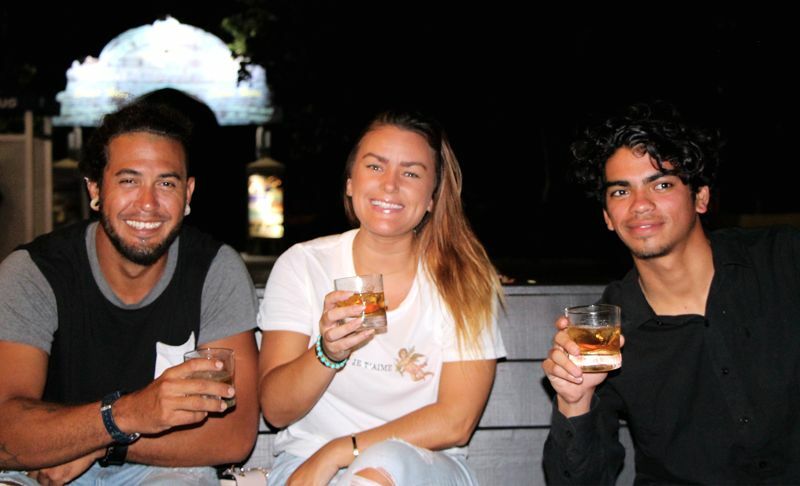 Overall, it was super smooth and made for easy drinking, so easy we could have sipped them all night long… but we came here on a mission, a cigar smoking mission. They were so tasty we couldn’t put them down! Now onto the main event – the cigars! The Humidor offers a vast selection of premium cigars, including brands such as MonteCristo, Partagas, Cohiba and Plasencia. Not only do they offer cigars but the store also includes real Cuban cigarettes, rum and coffee. In addition to browsing and shopping these products you can even taste before you buy – yum! 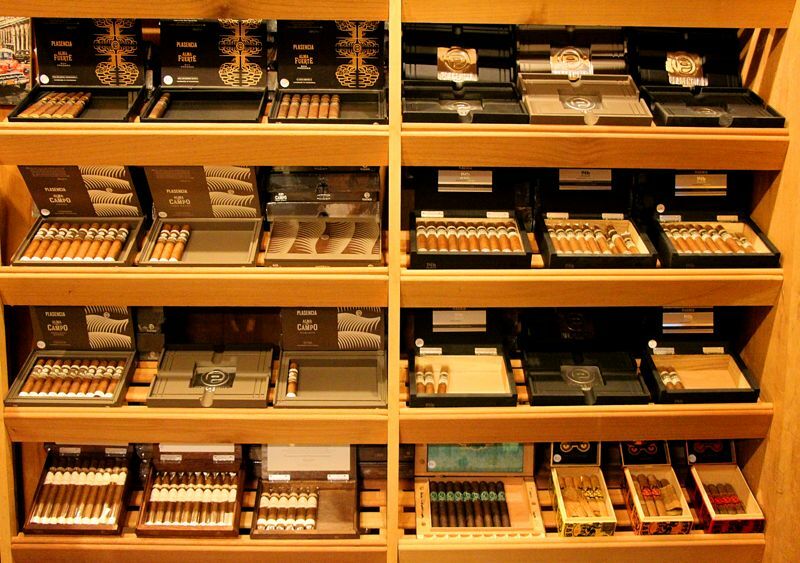 Just a small peek of their cigar selection. Fun Fact: Did you know that a ‘humidor’ is the fancy box cigars are stored in? Other than providing an elegant presentation, this box helps to maintain a particular relative humidity level needed for cigars to stay in good condition. Before we had our go at the Romeo y Julieta cigars Viviana brought over to us, she demonstrated and explained how to properly prep and smoke a cigar. Then we went at it, trying our best to look like naturals. Suggestion: Order their special Coconut Caney Centuria cocktail before lighting up, it compliments the taste and feel as you smoke your cigar! Not an avid cigar smoker? Well as you may have guessed it… neither are we (ha), but we found out it’s really not all that difficult or as intimidating as we thought! It’s quite simple, just please do yourself a favor and remember to never inhale the smoke! Rather, fill your mouth with smoke and then blow it back out (oh, and remember to look very cool while doing it). 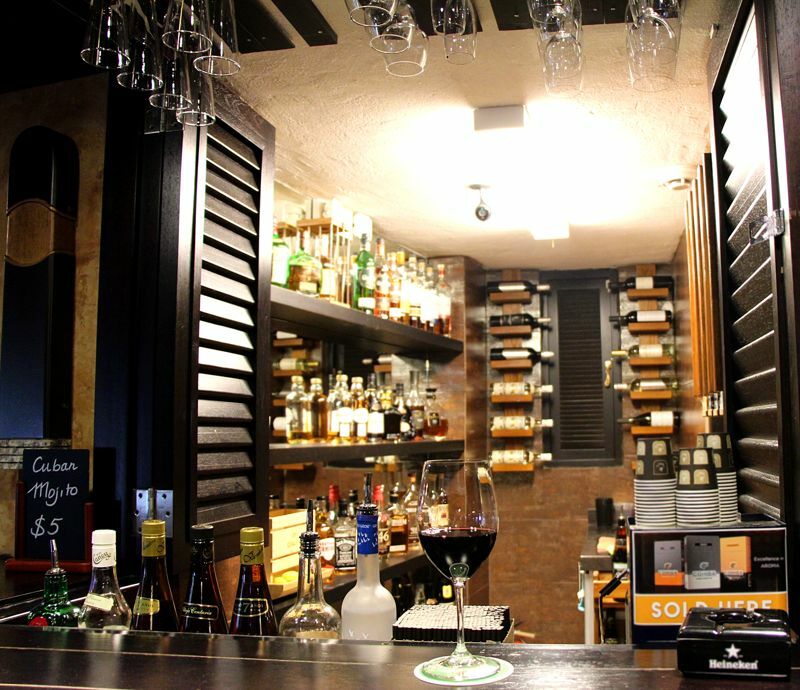 Cigar enthusiast or not… this is a very casual, relaxed and fun little spot. 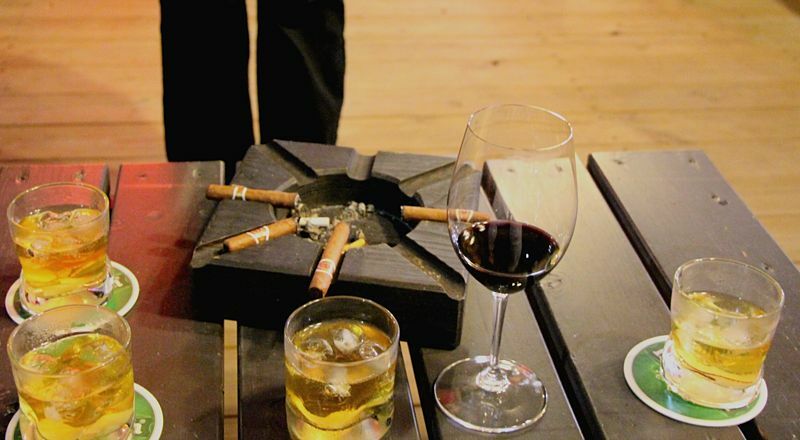 Stop by to get your cigar fix or just come by to get that true, Cuban feel and sip on some smooth, tasty rum. A BIG thank you to Eric, cigar lover and owner of The Humidor Aruba for the invite – we will stop by again soon as we are now pretty much professional cigar smokers (wink face)! Megan looking super cool whilst puffing her cigar! 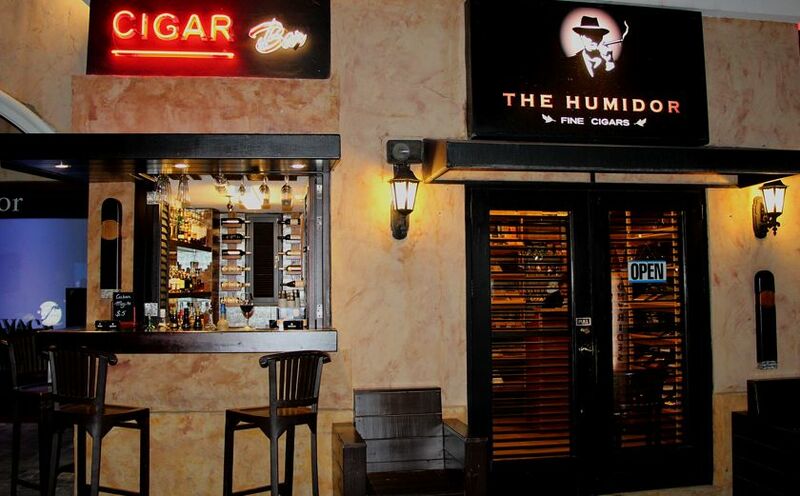 The Humidor Aruba’s main store and lounge location can be found at Paseo Herencia Mall. You can also shop their products at their secondary location by Giannis Restaurant and Hard Rock Cafe.